Everything I write has a bit of Idaho in it. I belong to Idaho and Idaho belongs to me. I wouldn't want it any other way. Western Idaho is a particularly great place to be at the end of August. Next up? The Western Idaho Fair. This year we arrived at opening and left just as the gates closed. So much to enjoy! 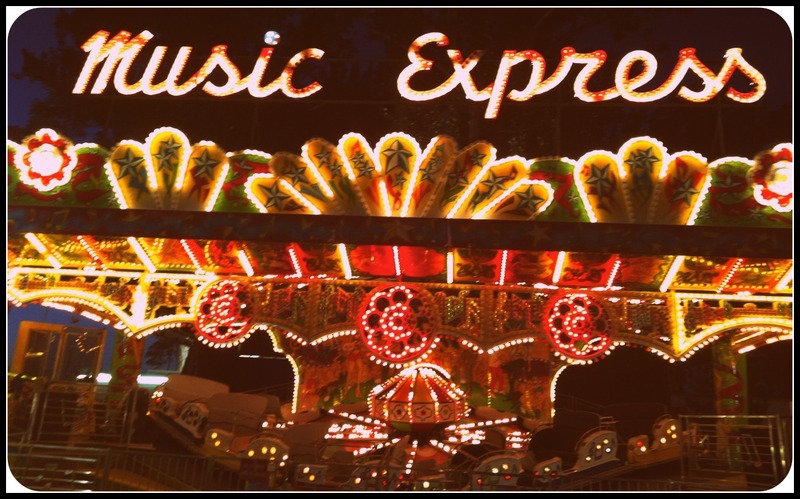 I love summer evenings like this, when the heat of the day recedes, the air smells of fair food, and fun is a ticket away. These kids are really amazing. Their dedication impresses me every time. 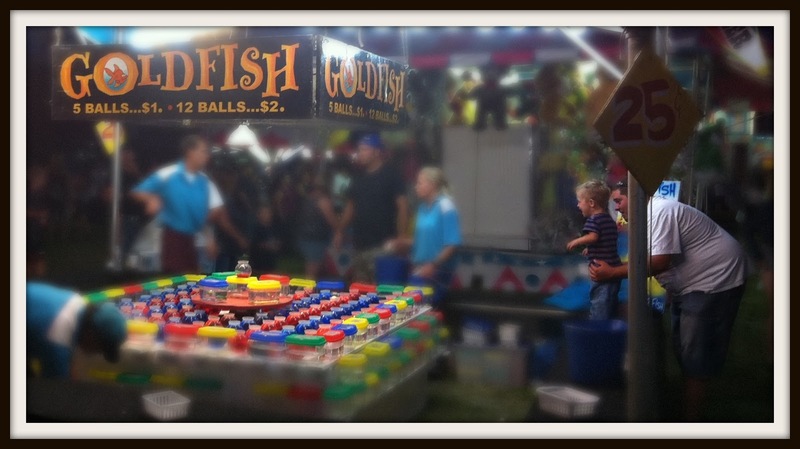 Carnival Goldfish Games are a lesson in abstinence. One weak moment and that little life is yours. Our goldfish turned a year old this year. Bah. You make it look like The Place to Be. Thanks for sharing what's so obviously a part of the Idaho culture. 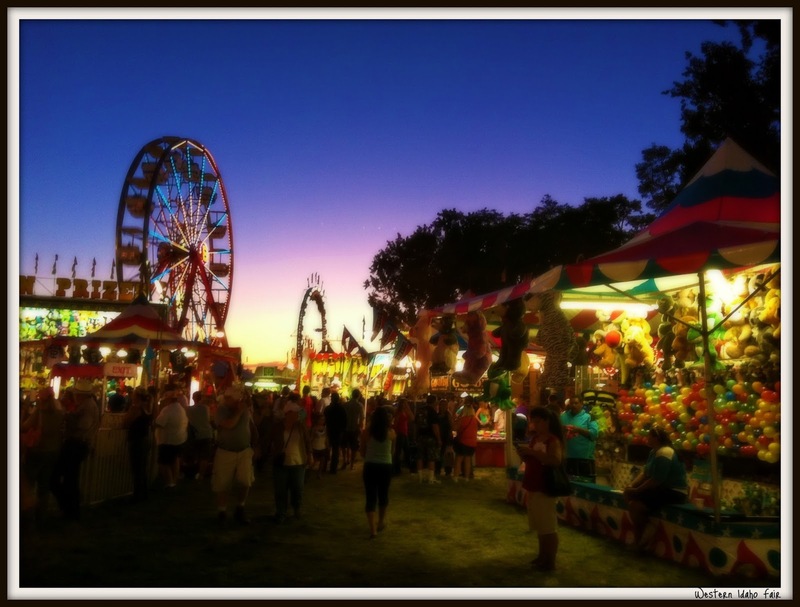 Sure would love to get some fair food and wander through the midway with you. And real rodeo cowboys? Don't get me started. Oh what fun! Wishing I was there! Looks like you had a great time. and those are some great photos! I can't really do fairs, but I can love them in theory, from afar. I remember from when I was a kid, the animals were always my favorites. The animals are still one of my favorite parts. There were kids in the dairy barn lying on top of their big jersey cow, hugging her and sleeping.